Dead Air’s Radio Announcer advises listeners that this episode pre-empts the president of the United States usually heard at this time. Short Don Rebel interviews the whacky UFO expert Derrick Von Lonagen whose baffling theory that Christ is responsible for UFOs ends with his singing “Pennies from Heaven.” Prudence Purity, the Dead Air censor complains that she hadn’t been notified of the radio show’s early morning taping and Dusty the Cameraman takes a break eating directly out of a box of Crunchy Wunchies breakfast cereal as Thom flings the toy flying saucer included in the box, a perfect segue into “Mel & Collie Baby: Mel Loves Crunchy Wunchies.” Then, after many failed takes on a Crunchy Wunchies’ radio ad, the cereal’s CEO C.C. Wunchy interrupts the show to complain about Collie Baby’s mentioning that Mel’s favorite cereal may be fun filled, but definitely isn’t nutrition filled. Mike Solace talks about nutrition on “60 Seconds” before Casino Loot admen finally get a clean take on the Crunchy Wunchies’ commercial in studio B. Legendary radio personality Harve Paulsey talks about Star Trek and the president and this week’s “Wasteland Playhouse” features a spoof on Star Trek. Follow Thom Savino on Twitter @tjsavino. Read more on Thom’s blog Topical Tweets & Titillations. Follow Frank Cotolo on Twitter @FrankCotolo. 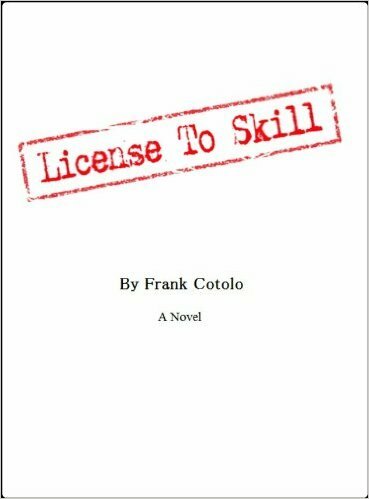 Read more on Frank’s blog Cotolo Chronicles.